West Sussex Writers and the Steyning Bookshop have teamed up to run a short story competition for Sussex based writers that will be awarded as part of the Steyning Festival. For more details and to enter click the button below. An exciting competition to find (and reward!) Steyning's best young dancers. Competitors are free to choose any dance style (ballet, contemporary, hip hop etc.) The qualifying round will be held at Steyning Grammar School on Tuesday afternoon May 29th and The Grand Final will be the same evening when prizes will be presented. Entries welcomed from anyone in the Steyning Grammar School catchment area. The Yarn Bomb is back! We tried this out for the last two Steyning Festivals and it proved very popular so we are going to have another go. 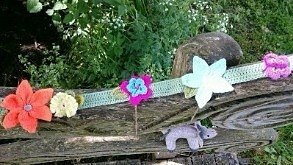 In case this is new to you, yarn bombing or guerrilla knitting is a type of street art that employs colourful displays of knitted, crochet or woven yarn or fibre. 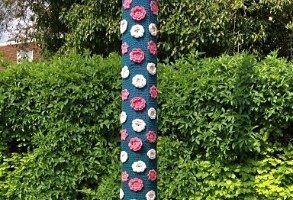 Yarn bombing can happen anywhere from lamp-posts to bicycles, trees to statues. The more colourful the better, this form of cosy art is designed to make us all smile and is just perfect for decorating the town during the festival. 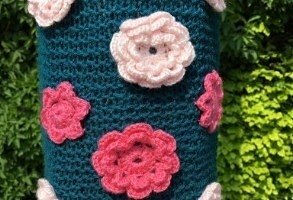 Choose somewhere to put your yarn bomb – a lamppost, a railing, a bench seat or a tree. Anything that you think would be cheered by your creation. Your own street, the High Street and Church Street are all good places and this years festival is centred around the Big Top Marquee in Cuthmans field so the more yarn we can get around there the better. Make your yarn bomb tight. You don’t want a saggy bomb so if the rail is 18cm then make your knitting 16cm and stretch it. Anything up to two weeks before the festival, attach your bomb to your chosen object. Some people stitch them some people use cable ties. Either works or a combination of both, stitched seams but with a cable tie at the top and bottom for added security. Take a photo of your bomb and post it on your Facebook Page, tagging in The Steyning Festival page. Also keep an eye out for the public crafting events we are planning throughout the Festival. 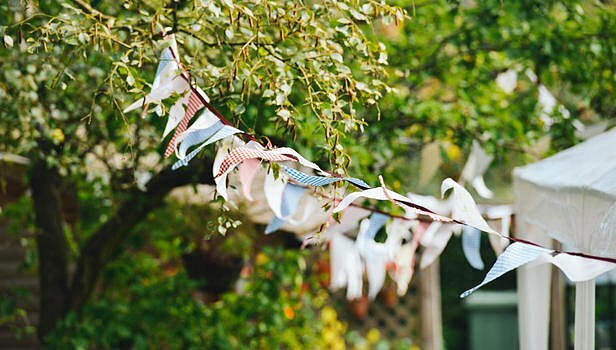 One more thing – much as we love them, we have to take them down after the end of the festival so it would be a great help if everyone could retrieve their own. This is a fun event that the whole family can enjoy throughout The Festival. We’ve put together 20 questions about features of Steyning, together with a map showing where the answers can be found. Pick up an entry form from any of the venues listed below and follow the map around the town answering as many questions as you can. As you enjoy your stroll there might well be a few things in our lovely town that you’ve never noticed before! You have until the last day of The Festival to complete all the answers and hand your form back for a chance of winning one of our great Treasure Hunt Prizes ! Entry costs just £2 and all proceeds go towards the running of The Festival.